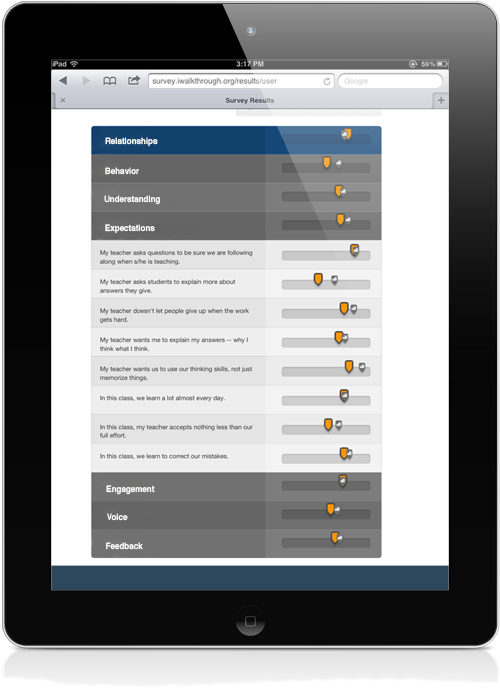 iWalkthrough Student Feedback is a digital student survey and reporting tool that will change the way you think about your students, your teaching, and your school. 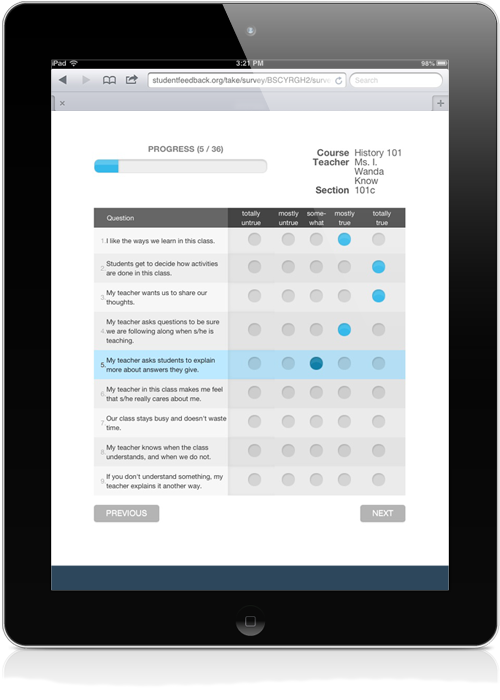 iWalkthrough Student Feedback allows schools to collect detailed, anonymous feedback from every student about every course and teacher in your school. With seven categories and only 36 questions, the survey takes less than five minutes to complete per class. The questions used in the Student Feedback survey identify exemplary classroom practices that are connected to student achievement. Student Feedback enables teachers to gather data on their practice and implement changes almost immediately. Survey results are displayed so that teachers can compare individual feedback with school-wide results.